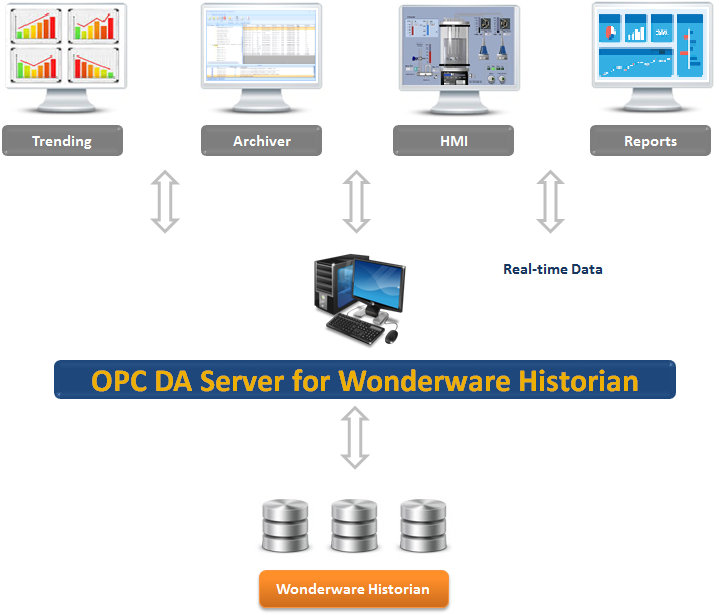 Enable OPC for your Historian using OPC DA Server for Wonderware Historian! OPC DA Server for Wonderware Historian is an OPC Server that communicates with InSQL databases. Thus, it provides OPC clients with real-time access to data collected from InSQL databases. Your OPC clients will be able to read as well as update the Historian’s data. With this level of connectivity, you can have your historian’s data at your fingertips for reporting and analysis needs. Moreover, this OPC DA Server is OPC certified. It is feature component of OPC Driver for Databases product.